BHS is one of Britain’s most recognisable retailers, but has experienced troubles in recent years. This culminated in the recent decision taken by Sir Phillip Green, to sell the company for £1 to Retail Acquisitions. Reports suggest that the new owners are already looking into the possible closures of a third of the chain’s 171 stores. So what has led to this state of affairs, is it a matter of increased competition, or a more serious issue of branding and image? YouGov BrandIndex underlines the difficulty BHS has competing in the crowded marketplace. 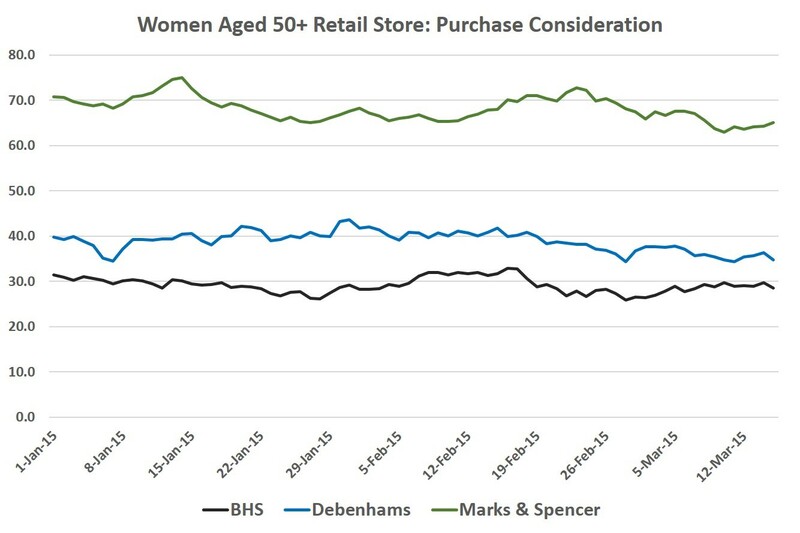 Our Purchase Intent Metric (if a respondent is likely to buy a brand’s product), shows that BHS are losing out to other retail giants; two of which are Debenhams and Marks and Spencer. BHS’ average Purchase Intent score since the turn of the year is 1.4%. This compares adversely with the score Debenhams (5.9%) and Marks and Spencer (22.2%). YouGov’s Quality Metric also suggests BHS are losing out in another area. 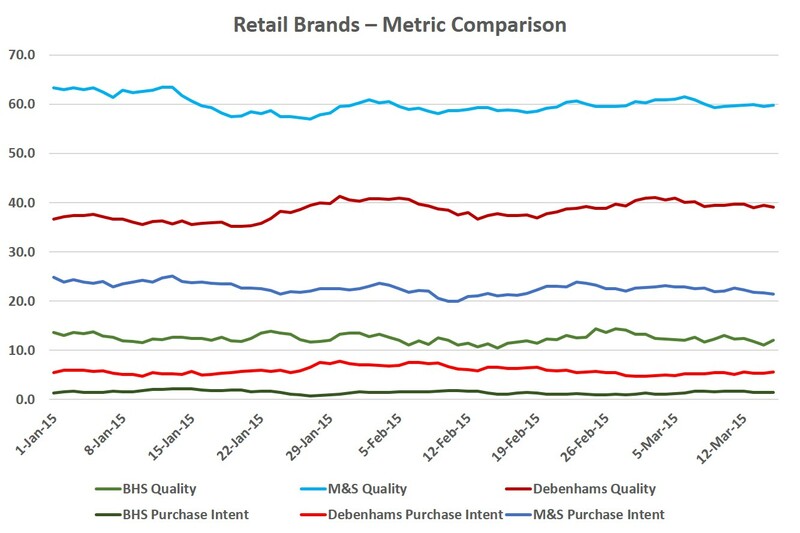 The average score for the brand over the same period is +12.3, whereas Debenhams score is +38.8 and at Marks and Spencer it is +59.5. YouGov profiler suggests the quintessential BHS shopper is a woman over 50 years old. It is in this demographic that BHS would be hoping to compete well with its rivals, but again we see them losing out. Our Purchase Consideration measures if respondents would consider buying a product from a brand. It’s clear that high street competitors have gained an advantage over BHS. So is it all over? Well, certainly a modernisation of its dowdy and old-fashioned image would help greatly. Their key demographic is becoming more aspirational, especially in its clothing choices and BHS needs to respond to this. This encompasses both design of the items but also the layout of the stores themselves. It has also been said that BHS is suffering from the ‘middle-market malaise’, and is not appealing to a broad enough section of the public. How the new owners tackle these issues will decide whether this once central pillar of the high-street, remains a part of it in the long term.